17-19 October 2018. Des Moines, Iowa. USA. 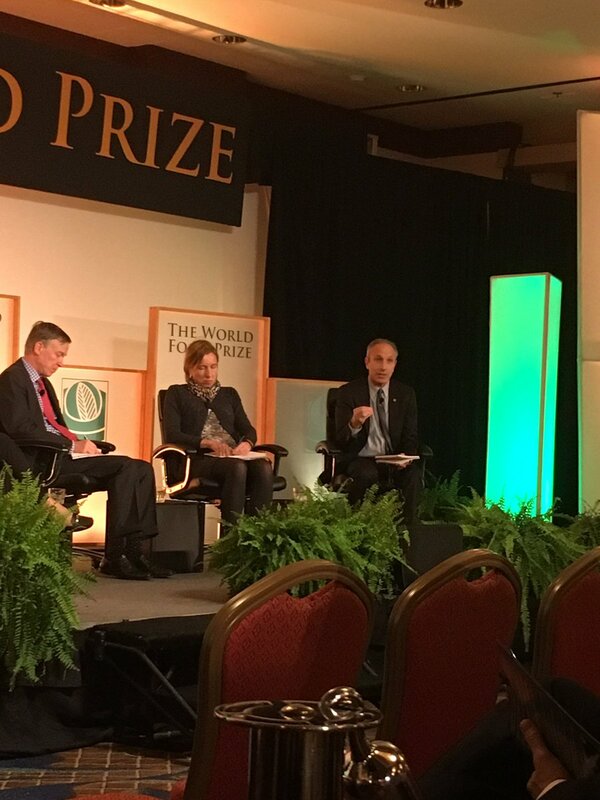 The theme of the 2018 Borlaug Dialogue, Rise to the Challenge, explored the massive effort to feed 9.5 billion people expected by 2050. Failing to meet this challenge will impact the entire world population, not just the hungry. The ability to access adequate nutrition is as much as stake as the ability to access an adequate amount of calories. Rising poverty coupled with deepening health and disease concerns could devastate our world as a whole. Unsustainable farming practices threaten our environment with increased pollution, resource depletion, and loss of biodiversity. The risk of conflict powered by hunger and resource scarcity skyrockets. Mark Edge - Director of Collaborations for Developing Countries, Bayer CropScience Co.
30-31 October 2018. Brussels. The SCAR Strategic Working Groups ARCH, AKIS and Food Systems meeting. ARCH: European Agricultural Research towards greater impact on global CHallenges. Working Group on FNSSA and launch of LEAP-Agri projects by Hans-Jörg Lutzeyer 8–10 October 2018, Bari, Italy. LEAP-Agri Project’s Kick-Off Meeting of ERA-Net LEAP-Agri Funded Projects. The ERA-NET Cofund LEAP-Agri (2016-2021) is a partnership between partners from 19 European and African countries and the European Commission aimed at research and innovation on food and nutrition security as well as sustainable agriculture, including aquaculture. 27 collaborative European African projects have been selected for funding by the 24 LEAP-Agri funding agencies, based on an international Independent Review panel evaluation and ranking. - Establish a long term and sustainable governance and funding mechanism for the Platform. 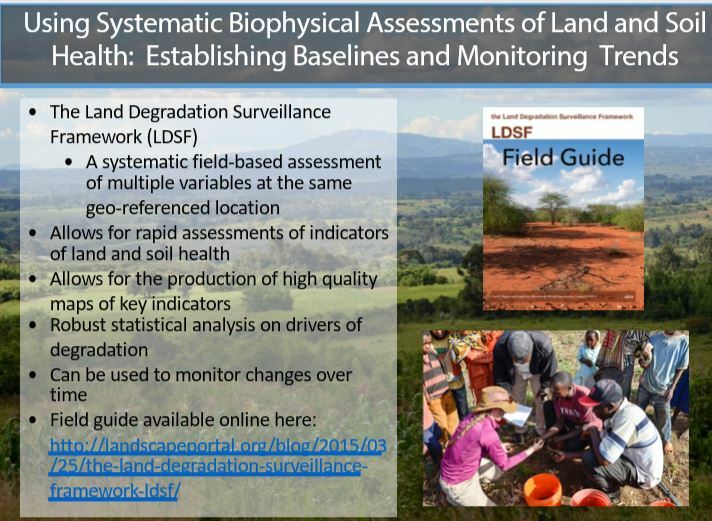 To reach these objectives, Leap4FNSSA will build on a large consortium of experienced partners and implement a methodology based on 3 principles: long-term impact, relevance of the outputs to the HLPD, and innovative actions. 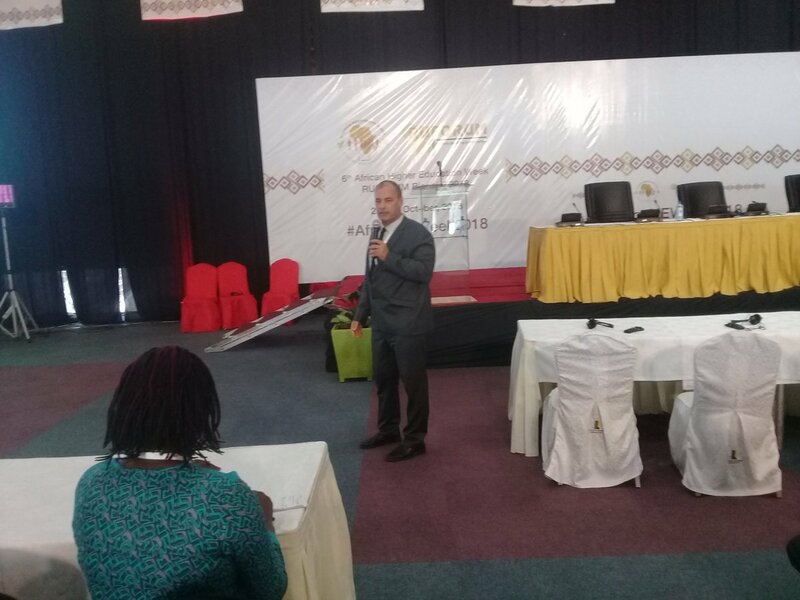 Long-term impact of the CSA relates to its main objective to enable and catalyse the transformation of the existing AU EU FNSSA Partnership into a bicontinental Platform for collaboration, organised along a Knowledge and Management Communication Framework. Outputs relevant to the HLPD will be achieved by connecting and framing activities of all Work Packages on top of the supporting activities specifically requested in the SFS-33-2018. Innovative actions are foreseen to run the Platform efficiently throughout e.g. the development of a new approach to information mapping, text and data mining, and testing of multistakeholder alliances at a regional level and the mobilisation of actors to manage research and innovation programming in a 4-steps management cycle. This Task Force is to provide expertise, advice and possible recommendations in relation to enhancing the role of the EU agrifood and agroindustrial sector in the job-creating economic, sustainable development of the African continent. It will also identify means to accelerate economic impact through fostering responsible EU private investment in support of African agriculture, agri-business and agroindustries in a sustainable way, taking into account existing cooperation frameworks (in particular the EIP, the SB4A, the Abidjan Action Plan, and other types of development assistance, trade and investment agreements and instruments, cooperation in multilateral fora). Members of this group were selected via a call for applications. DESIRA is, a new European funding mechanism for a new vision of research for development. It is an initiative from the Commission, which spends 1 Billion Euros a year for Agriculture and food security. The aim is to accelerate development, with innovations that are science-based: development smart innovations through research in agriculture. In that context, DGDEVCO funding to research entities should be influential on the 1 billion Euros it spends overall on agricultural development. It aims for embedded research in national development agendas. The program kick started with 90 mEuros/yr over 3 years. Gates will bring 300m USD over the same 3 years. Climate change is an overarching objective. Resources from the Commission might be topped-up by resources by other interested member states. It is not another mega call for proposals. Development practitioners (agencies, commission, GIZ, BMZ...) are consulted on: what is the demand for research in countries? How can we put more science in the development portfolio? There is a need for nn ampler choice of technological options, promote partnerships with local research ands bring together European universities that operate in given countries. Bridge research programs with development practitioners. The first contracting will be early 2019. A small group of representatives from the SCAR Strategic Working Groups ARCH, AKIS and Food Systems prepared a Policy Brief regarding Ex Ante Impact assessment based on discussions and conclusions from a jointly held workshop in Rome on 6th April 2018. 23 October 2018. In this year’s group of 20 fellows selected for the African Leadership Academy’s Anzisha Prize (presented in partnership with the Mastercard Foundation), there are four young entrepreneurs (hailing from Uganda, Kenya, Benin and Cameroon) who also firmly believe that the future holds promise for African agripreneurs. A youth-led Kenyan avocado farm turns into a smallholder agricultural development companyKevin Kibet, 22. Kibet’s company, FarmMoja, gives smallholder farmers inputs, training and access to reliable markets. “We currently employs seven people and guarantees job security to at least 130 farmers,” Kibet says. Since its inception in 2016, the company has distributed inputs to 30 farmers and has 1,000 avocado trees planted on its seven-acre plot of farmland. “By the end of next year (2019) I am hoping to have reached 500 farmers, in three years 1,000 farmers and within the next 12 years a million farmers,” he says of his future goals for the company. Transforming smallholder farm produce into packaged convenience foods in BeninThe founder of Africa Foods Mill, 21-year-old Aldred Dogue, realised that small-scale farmers in his home country Benin were incurring losses, as their produce would often not make it to the markets on time. He immediately saw an opportunity and established a company that could capitalise on this gap. Africa Foods Mill has a product line that includes pre-cooked cabbage, carrots and green beans – all sourced in Cotonou and Abomey-Calavi in Benin, and then sold to supermarkets in the area. This has limited post-harvest waste for many farmers, subsequently raising their income. Dogue has been awarded the Best Business Plan Award from the Young People’s Chamber of Commerce in Benin for the successes already achieved through his venture. 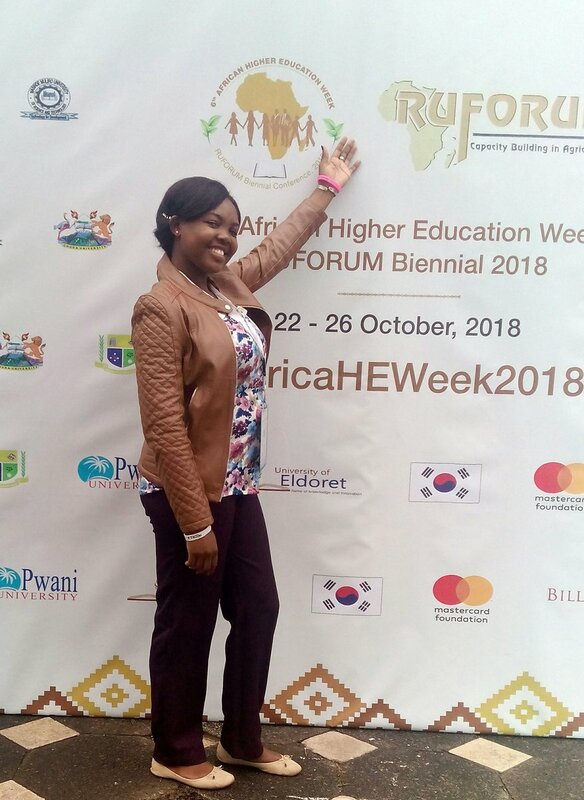 Kisseka Samson created a farming co-operative called Hello Mushrooms U Ltd that supplies inputs to growers, offers free training and provides buy-back facilities in exchange for a commission. The company currently has 15 farmers enlisted as suppliers and the produce is sold to 20 commercial wholesalers, retailers and individual customers. Cameroonian tomato and chicken farmer now entering the beauty industry with snail serumFarmer’s Forte is a company founded and run by 22-year-old Awah Ntseh, who grew up in Douala, Cameroon. 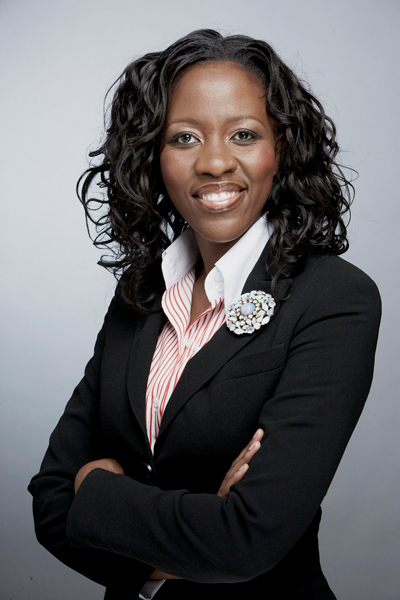 The young entrepreneur has always been interested in agriculture and farming. He originally started with tomato crop production and chicken farming in 2015 but had the idea to research the benefits of snail mucin (slime) when a passerby remarked some years ago that she had used this substance to heal a skin problem she had suffered from. 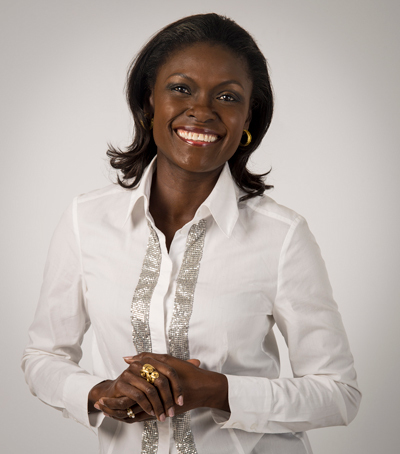 Ntseh subsequently added a snail farm to Farmer’s Forte’s portfolio after research showed that the mucin did indeed have various skincare benefits. His company now sells the snail serum alongside a range of other beauty products, including coconut oil, neem and aloe vera. 22-24 October 2018. Kampala, Uganda. A high-level meeting brought together members of national research institutions, policy institutions and government within Uganda, including senior decision makers, to explore approaches to enable an equitable research system in the country. The meeting tackled important questions such as: how national research systems can nurture a wider pool of research talent and how to foster an inclusive research and knowledge system that enables a diversity of voices and opinions to contribute to national development. The event was hosted by and has been developed in partnership with Uganda National Council for Science and Technology (UNCST). Based in Kampala, UNCST develops and implements ways to incorporate science and technology in Uganda’s national development process and advises the government on relevant policy matters and coordinates research and development activities in the country. 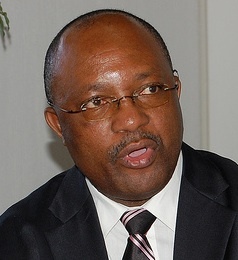 The meeting defined a shared vision; articulate the key challenges and gaps that limit equitable access to, use of and full contribution by researchers and institutions to the national research and development agenda; and developed a plan for a holistic, equitable, collaborative and sustainable research system that is capable of contributing to national development priorities of response. 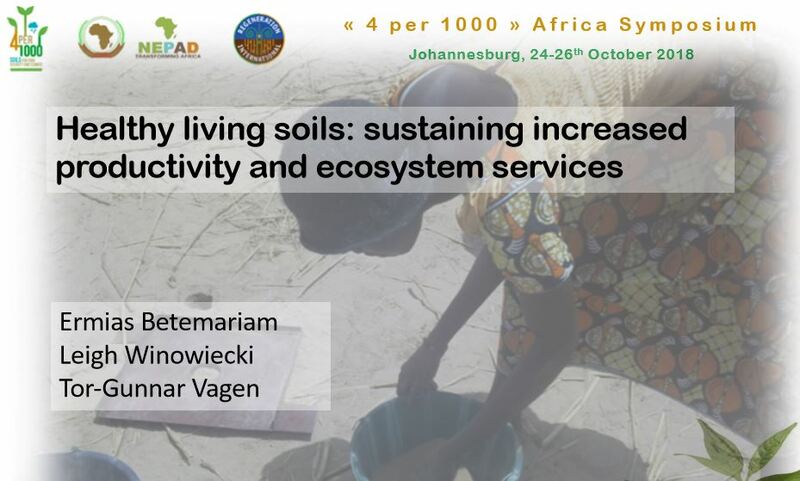 It will include speakers from Uganda’s Ministry of Science and Technology, Resilient Africa Network, universities across the country, UNESCO and Sida, as well as from UNCST and INASP. The global knowledge pool: is it restricted and who determines access and contribution? ( EASTEco) an East African Community institute told the researchers that working together as a group would help East Africa share the high costs associated with research. “We are small economies. Infrastructure is expensive. It makes sense to work together and share results. It is easy to work together since the region faces the same challenges. Each country within the region would be given areas where they have comparative advantage so that they put their best talent there, citing Uganda taking coffee." In research international organisations are already using the specialisation model for some time. For instance the just ended World Bank programme, the East African Agricultural Productivity Programme (EAAPP) selected countries depending on their comparative advantages. Uganda was selected to host the Cassava Centre for Excellence, Ethiopia was selected to host wheat, Tanzania rice, while Kenya was given dairy. The Consultative Group on International Agricultural Research (CGIAR) also host specific programmes in different countries. Nigeria hosts the international centre for Cassava, Philippines hosts one for rice, Kenya one for livestock and forests, Peru for potato. 25 October 2018. Throughout Africa, chickens are vital to family nourishment, income and food security. But African poultry production is threatened by an extremely virulent Newcastle disease virus that can decimate entire flocks within days. UC Davis researchers are leading an international effort to identify genes crucial to breeding chickens with enhanced resistance to Newcastle disease and heat stress. Their project--the Feed the Future Innovation Lab for Genomics to Improve Poultry--recently received a $5 million award from the U.S. Agency for International Development (USAID) to continue its work improving poultry production in Africa and throughout the world. "This project will help protect chickens from deadly Newcastle disease in areas where poultry vaccinations are not feasible, as well as boost the effectiveness of vaccinations. Increasing the production of chicken and eggs can have a dramatic impact on nourishment and livelihoods in poor, rural communities." Huaijun Zhou, the UC Davis geneticist and animal science professor. Zhou is program director of the innovation lab and the U.S. national poultry genome coordinator. Newcastle disease is the number one avian virus on the continent. It's highly contagious and kills about 750 million chickens annually in Africa alone. The disease is controlled through vaccinations in the U.S. and other developed countries, but many families in rural villages don't have access to reliable vaccines. One of the most difficult aspects of the project is that disease and heat resistance, as well as production and growth rate, are complex traits, which means they are controlled by many genes working together. The Feed the Future Innovation Lab for Genomics to Improve Poultry was launched in 2013 with a $6 million award from USAID. With this new five-year, $5 million award, the team will continue to hone in on genes of interest. 24-25 October 2018. Accra, Ghana. 2018 GLOBELICS International Conference. 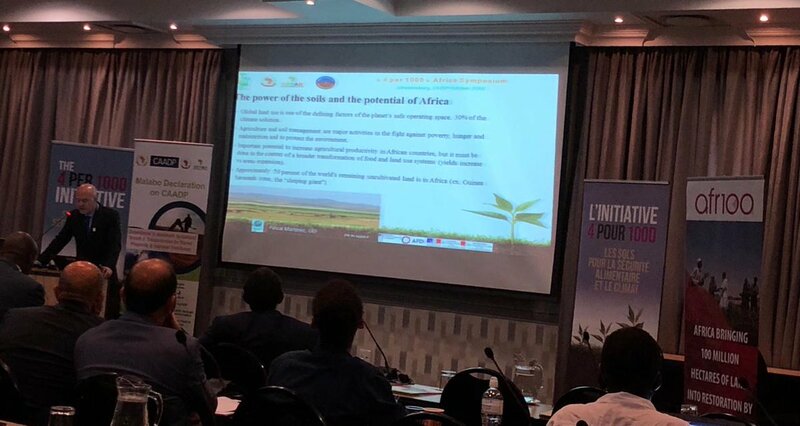 The 16th Globelics Conference was hosted by the CSIR-Science and Technology Policy Research Institute (STEPRI) in collaboration with Africalics. 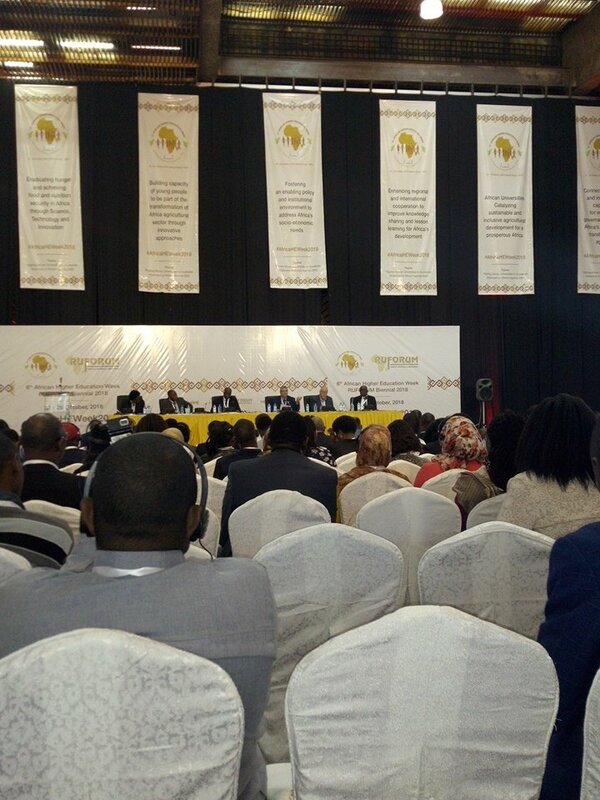 Ghana is the fourth African country after South Africa, Senegal and Ethiopia to host the GLOBELICS annual Conference. This presented an opportunity to showcase Ghana. There is a government agenda to create an industry in every district to generate jobs and improve livelihoods especially in the rural areas. 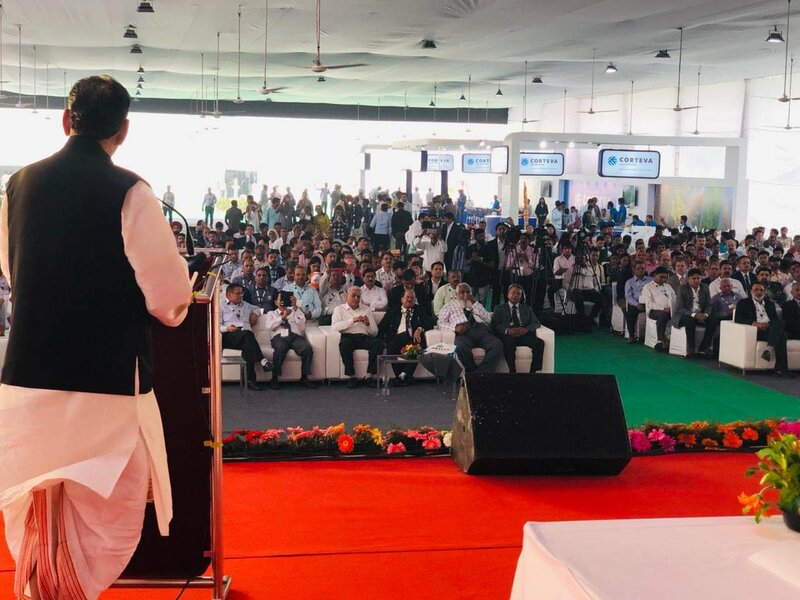 The output of the Conference was expected to contribute immensely to the options of the government in achieving this flagship project dubbed “one district one factory”. Prof. Kehinde Taiwo, National Center for Technology Management, Nigeria. 24 - 26 October 2018. Johannesburg, South Africa. 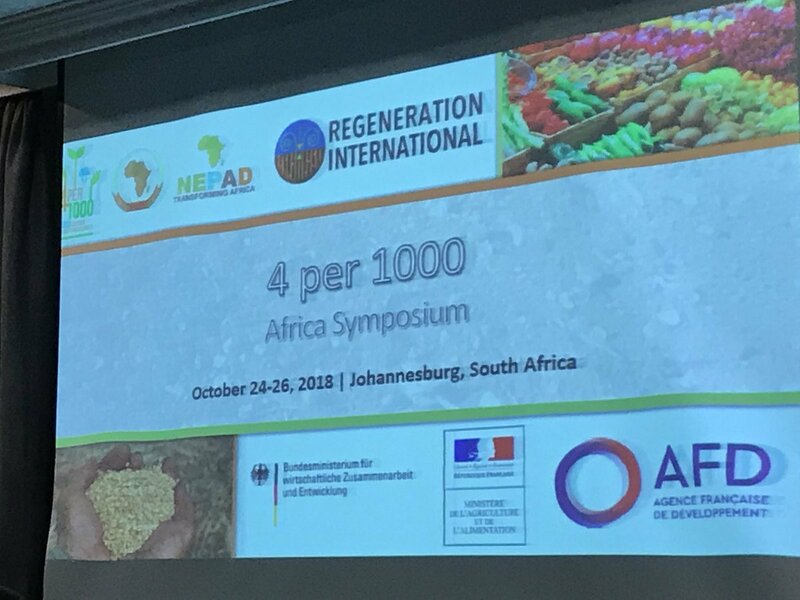 "4 PER 1000"Africasymposium on soils for food security and climate was organised by the NEPAD Planning and Coordination Agency and Regeneration International. 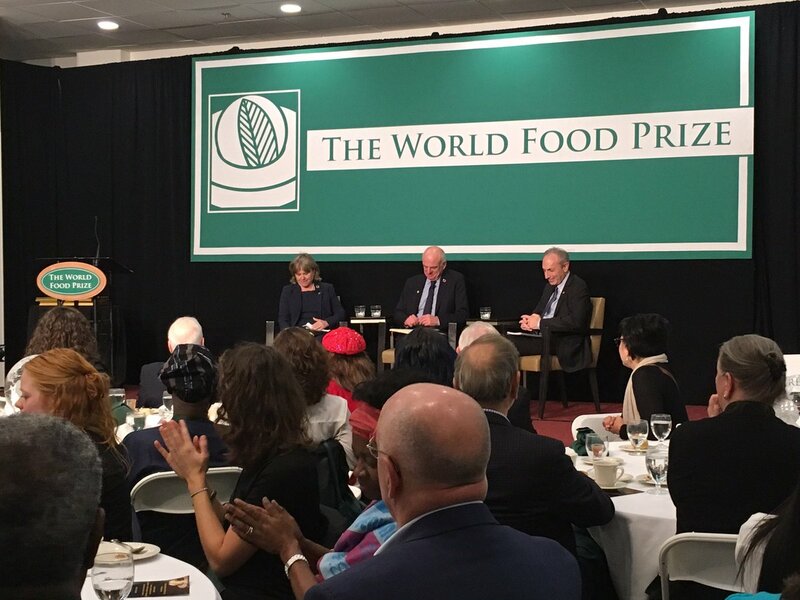 These four programs deal directly with the target topics of the 4 per 1000 initiative, namely climate change and food security. A key objective of the symposium was to bring together relevant stakeholders active in these three programs to explore and introduce synergies between them and the 4 per 1000 initiative. The 4 per 1000 initiative was launched in 2015 at the UNFCCC COP21 as part of the Lima-Paris Plan of action and the follow-up Global Climate Action Plan adopted at the COP22. The overarching goal of this initiative is to assist contributing countries and non-state organisations to develop evidence-based projects, actions and programs to promote and encourage actions towards reducing greenhouse gas emissions through protecting and increasing the amount of soil carbon. The target rate of a “4 per 1000” (0.4%) per year represents hereby an aspirational goal. The initiative aims to avoid loss of organic matter from soils and improve soil carbon sequestration with the ultimate goal of improving food security and reducing climate change. 25- 27 October 2018. New Delhi, India. 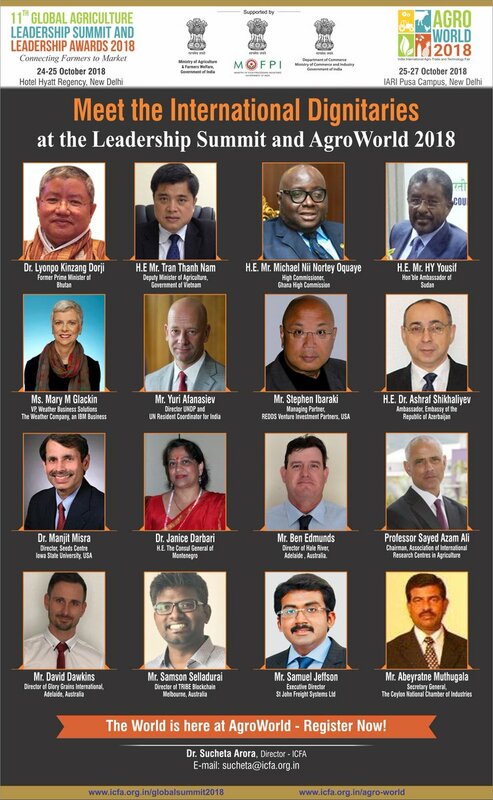 The Indian Council of Food and Agriculture with the support of the Government of India and several States and in technical collaborations with a large number of industry associations and international bodies, organised the AgroWorld 2018. 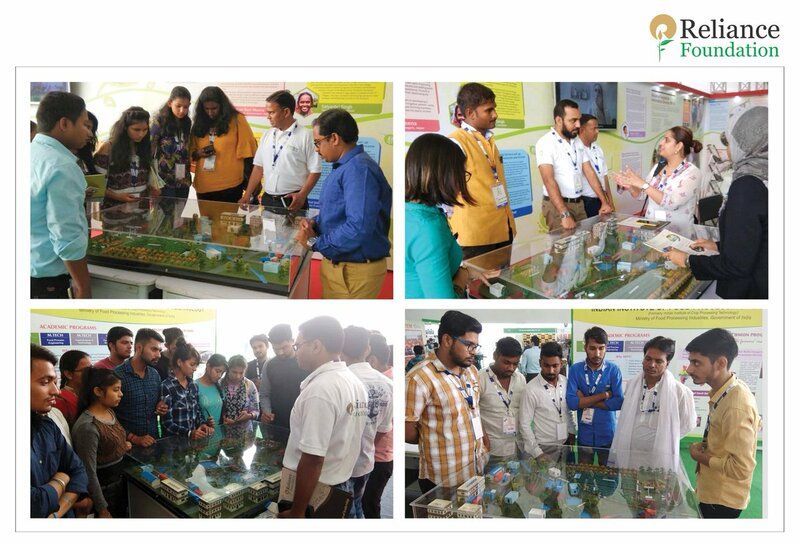 This knowledge and trade event encompassed industry-oriented topics, opportunities for startups, international participation and much more. India's domestic demand for food is expected to go up considerably with increasing population. 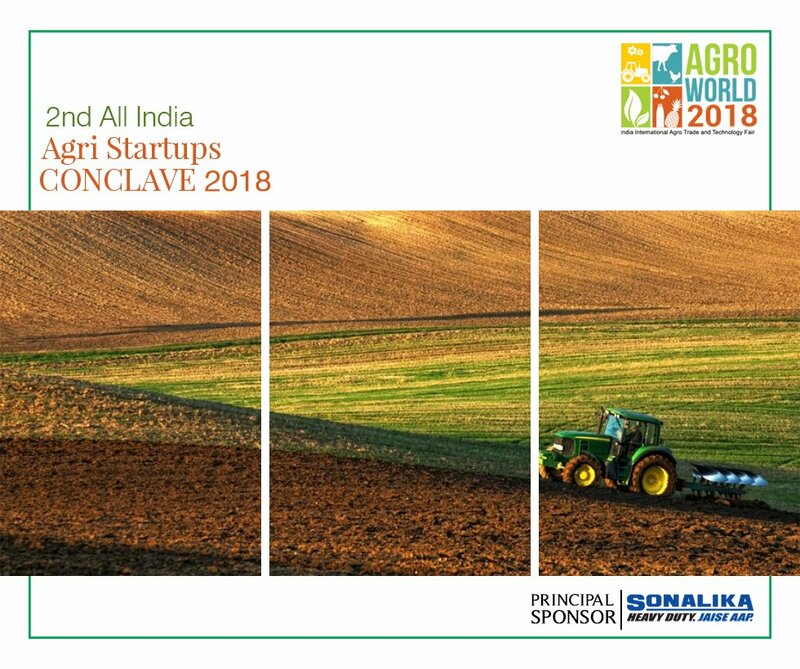 Indian agriculture needs advanced farming systems, agri services, planting material, farm machinery, agroprocessing equipment, crop care and soil health products, dairy, poultry and fishery technologies, infrastructure, value chain models, agri and food businesses and substantial participation in global food and agro trade. As India’s institutions are providing global expertise and cooperation, it has become the gateway to almost two dozen Asian countries and the whole African continent. Though 8% of world’s food is grown here, the share in global trade remains dismal at 2%. For enhanced sustainability, food safety and quality standards, ICFA has taken up the Agriculture Stewardship Program by launching Healthy Food Initiative program and Good Agriculture Practices (GAP) project. In a short period of two years, the Council has signed up MoUs with the University of California, University of Maryland, Michigan State University, Iowa State University, Western Australia University, German Agribusiness Alliance, Borlaug Institute for South Asia, African Asian Rural Development Organization and IFPRI etc. Through international partnerships, ICFA envisions to mobilise technologies and investments that will catalyse agribusiness and agri start- ups. 22 - 26 October 2018. KICC,Nairobi, Kenya. 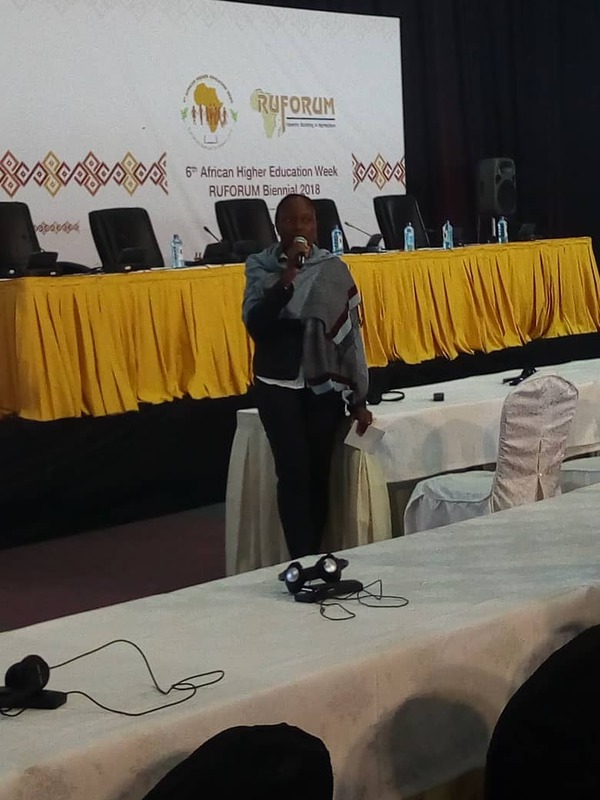 The 2018 RUFORUM Biennial conference overall theme was “Aligning African Universities to accelerate attainment of Africa’s Agenda 2063”. Food and nutrition security remain Africa’s most fundamental challenges for human welfare and economic growth. Far too many people on the continent are unable to acquire and effectively utilize at all times the food they need for a healthy life. Because of low food availability and profound poverty, an estimated 200 million people on the continent are undernourished, and their numbers are on the increase by an estimated 20% since the last two decades. and the aggregate costs of food and nutrition insecurity at the national level impose a heavy burden on efforts to foster sustained economic growth and improved general welfare. This Session on Food and Nutritional Security in Africa built on previous efforts to catalyze action towards accelerated and sustained attainment of the ARNS 2015 – 2025 objectives and the on-going dialogue on “Assuring Food and Nutrition Security in Africa by 2020: Prioritizing Actions, Strengthening Actors and Facilitating Collaboration”. 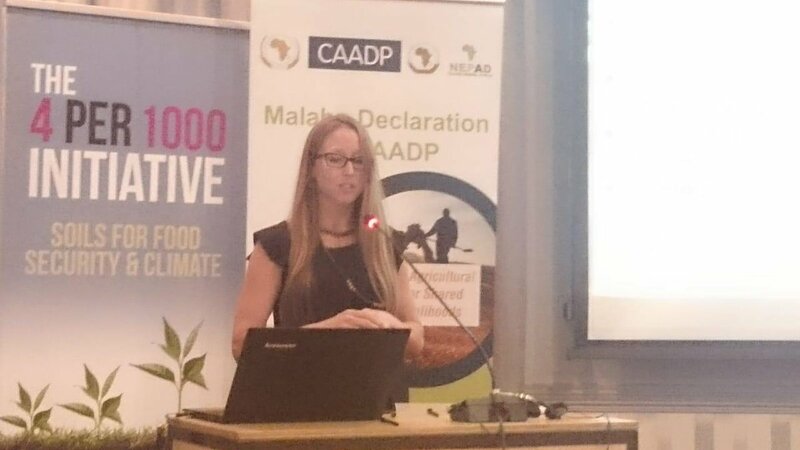 Presented and discussed selected case studies on the status of food and nutritional security in Africa. Generated context specific actions needed to address food and nutrition insecurity in Africa. 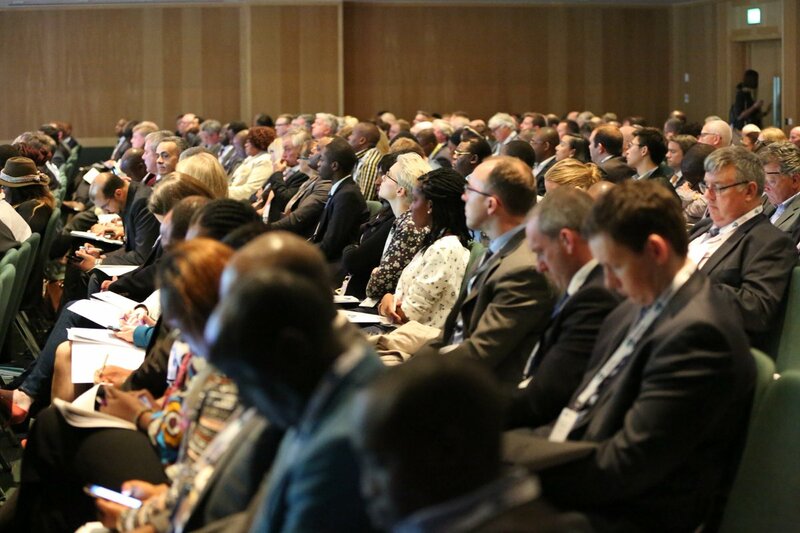 Assessed the status of implementation of the ARNS 2015 – 2025 and indeed STISA 2024 Priority One on reducing poverty and reducing food and nutrition security in relation to National, sub-regional and global frameworks on food security and nutrition, especially STISA 2024 Priority One. 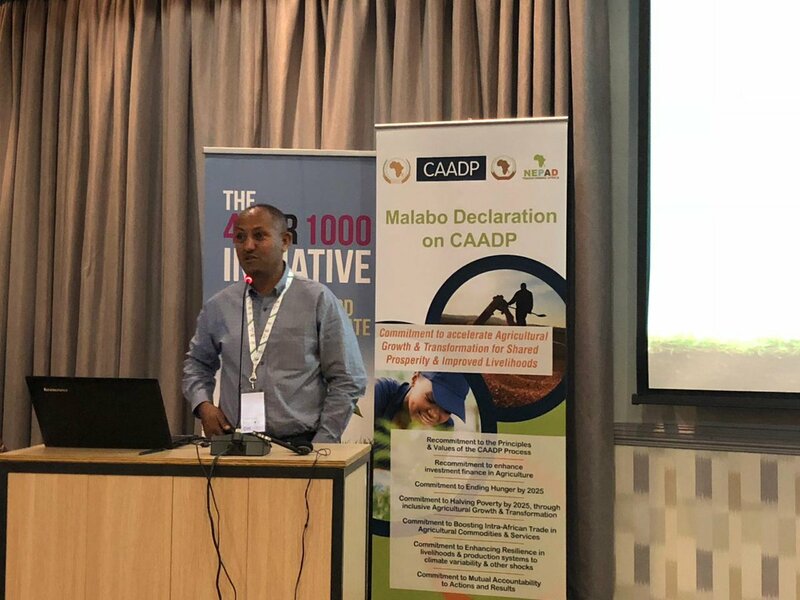 Case studies on Global and National level successes and failures in the fight against Food and Nutritional Security: Is the Malabo Declaration helping? What key actions are needed? What are key measures that will help buffer food and nutritional security in Africa? What role could Arab-Africa partnership play on this? 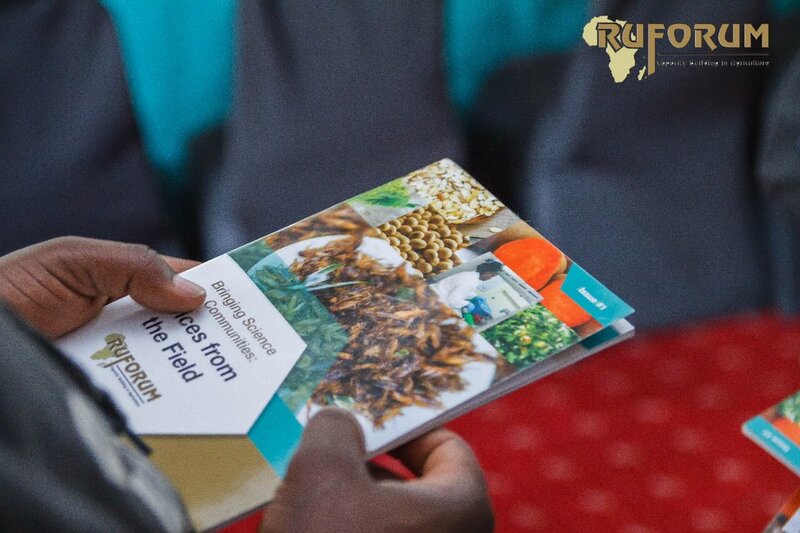 What are the current nutritional challenges and capacity gaps that should be addressed in support of actions towards better nutritional security for Africa? What resources can Africa leverage to better the food and nutrition status? How can we effectively mobilize political action to support efforts for food security and nutritional issues in Africa: Experiences from FAO? Dr. Mary Shawa, Principal Secretary of Ministry Gender, Children, Disabilities and Social Welfare in Malawi. What is the new business of delivery of the AOAD? Can the pocessing of orphan crops in North Africa create jobs? Related: 19 March 2018, Abu Dhabi. The Food and Agriculture Organization of the United Nations (FAO) reaffirmed its support to date palm production and development in the Near East region, including tackling the threat of Red Palm Weevil and improving the date palm value chain. The date palm is a symbol of life in the Near East and North Africa region. It is critical to the food security of the people who depend on it thanks to its unique nutritional properties. The date palm also plays a significant role in the economies of countries in the region, which includes the top 10 date-producing countries, representing 90% of the global date production. FAO has also renewed its alliance with the Arab Organization for Agriculture Development (AOAD) and the Khalifa Award Secretariat for the protection and sustainable development of the date palm value chain. 30 October 2018. Cairo. 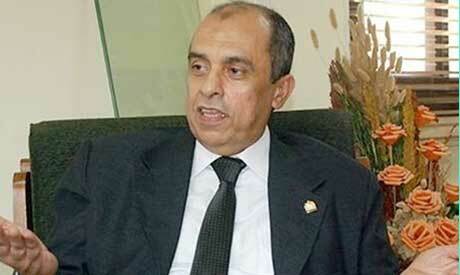 Agricultural cooperation can help develop Egypt's relations with Africa, said Ezzedine Abu Stait. Addressing the African affairs committee of parliament, the Egyptian agriculture minister said President Abdel Fatah al-Sisi pays particular attention to relations with Africa, noting that Egypt is now back to lead the continent after a period of marginalization. He said there are eight Egyptian model farms in eight African countries, noting that his Ministry plans to have a total of 22 farms across the continent by 2020. Sudan, Ethiopia, Kenya, Eritrea, Tanzania, Zambia, and Congo have established pilot model farms with areas ranging between 500 and 600 acres. 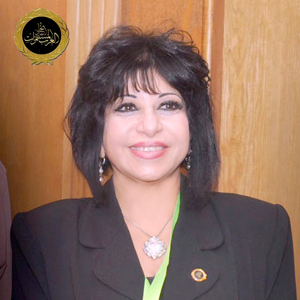 Egypt provides the necessary technology for the development of agriculture in these countries and exports seed varieties that are environmentally compatible with the climate of each country, while those countries provide infrastructure, water resources, and labour for agriculture. Egyptian imports from COMESA countries include tea, coffee, cocoa beans, tobacco, sesame, raw leather, vegetable and aromatic extracts, and live camels. The cost of transport to COMESA countries is 15-20% more than the cost of shipping to African or Arab states, which hinders agricultural cooperation between Egypt and these countries. 11 -12 October 2018. Dublin Ireland. 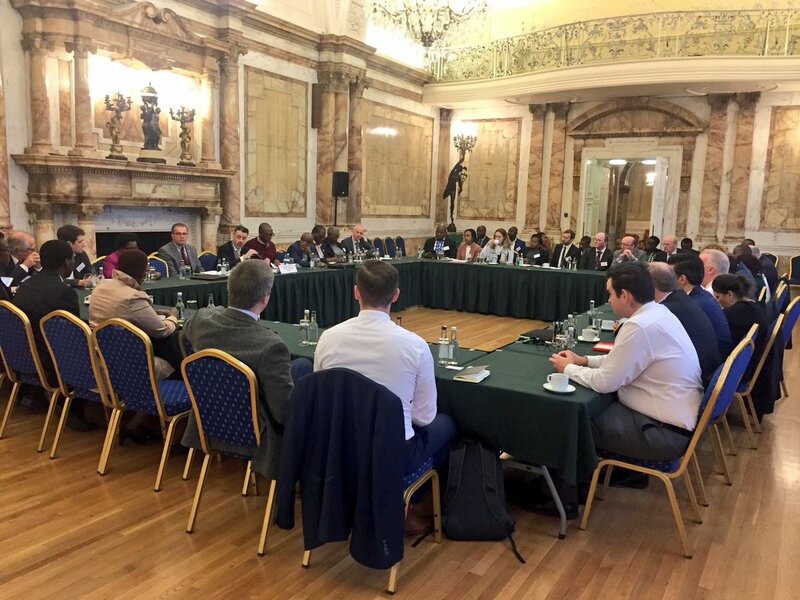 The 6th Africa Ireland Economic Forum organised by the Irish Department of Foreign Affairs and Trade together with the African Embassies in Ireland, brought together business people and thought leaders and focused on strengthening trade links in the agri-foods sector. There is an enormous potential for agriculture to transform African economies. Ireland's, agri-business development has been an integral part of Ireland's economic development and transformation story. Over a few decades, Ireland has grown from predominantly small scale subsistence farming, exporting primary production, to a sophisticated producer of high-end, value-added food. Over €1 billion worth of Irish food and drink is exported every month and over the last 7 years, Irish agri-food exports have increased by 56%, mainly driven by non-EU trade. 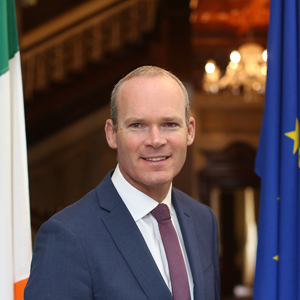 Ireland's Deputy Prime Minister (Tanaiste) and Minister for Foreign Affairs, Simon Coveney T.D. He announced an expansion and new call for proposals under the Africa Agri-food Development Programme, which is funded by the Irish Government. The objective of the programme is to develop partnerships between the Irish Agri-Food Sector and African countries to support sustainable growth of the local food industry, build markets for local produce and support mutual trade between Ireland and Africa. Important: Only Irish Agri-Food companies can apply. Projects will be supported in the following countries – Botswana, Cóte d’Ivoire, Ethiopia, Ghana, Kenya, Namibia, Nigeria, Malawi, Mozambique, Rwanda, Sierra Leone, South Africa, Tanzania, Uganda, and Zambia. The closing date for the receipt of applications is 5.00pm on Friday, 30 November 2018.
the challenges of breaking into new markets. Women in Business, Pathways to success.Leading female entrepreneurs from both Ireland and Africa shared their stories, charting out the development of their various enterprises and offer an insight into their experiences on their journey to the top. 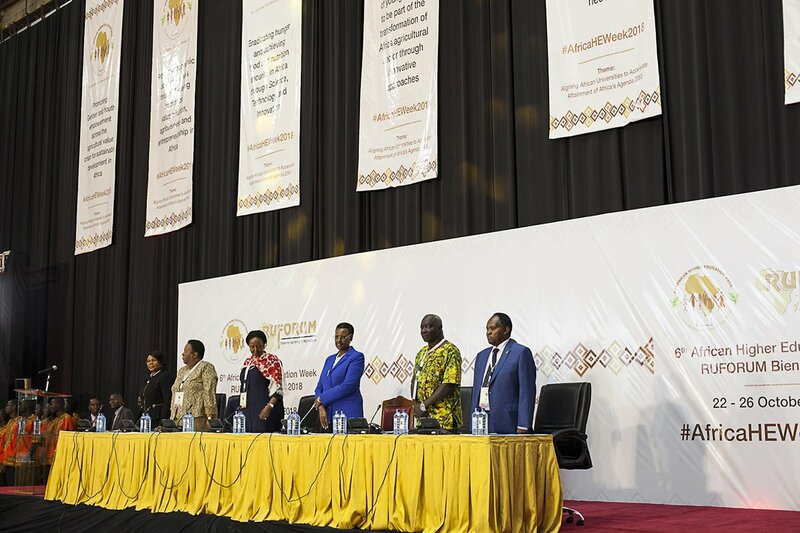 The Conference provided an opportunity for universities to demonstrate their repositioning to responding to national and regional development needs including those of farmers and other allied sectors. The youth and young researchers had the opportunity to be exposed to practical entrepreneurship, skills capacity enhancement and mentorship. This can further accelerate innovative research careers, strengthen innovation for community impact, and strengthen research communication, publication and networking. 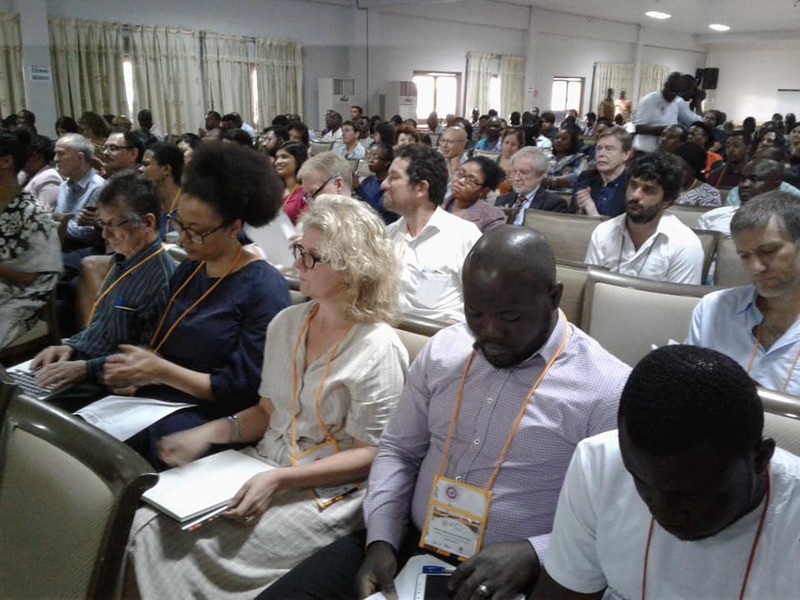 The Conference also engaged development partners and governments to articulate innovative funding mechanisms that propel university transformation for impact. 18 October 2018. Horizon 2020 Info Day: Funding opportunities for cooperation between Africa and Europe through Horizon 2020. Mrs. Monica Brasser, WOTRO, The Netherlands: Funding in ARD. Do we have enough innovative funding mechanisms (e.g. ARF, LEAP-Agri, DeSIRA) helping ARD? What could be the role of private sector organizations, and their specific needs for that? Mr. Philip Kiriro, EAFF: The readiness of farmers to engage in ARD processes. Richard Hawkins,Director ICRA, Wageningen, The Netherlands: Is there science in MSP?